You have to trust your own eyes in chess. 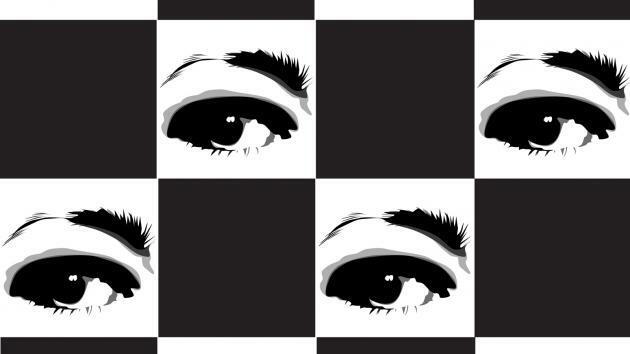 Do You Believe Your Lying Eyes In Chess? In his famous comedy routine, Richard Pryor tells a story about being caught cheating with another woman by his wife. Since the wife entered the room at the worst possible moment, it was pointless to deny the fact of cheating and yet, he tried his best. As his last argument, he asks: "Who are you going to believe, me or your lying eyes?" Richard Pryor. Photo by Alan Light / Wikipedia. While that was just a comedy performance, I've seen many chess players who trust anything but their own eyes! —What are you going to play? —Yeah, it is such a great opening. I am surprised that I haven't seen people in our chess club playing it. Many grandmasters play it and their results are excellent! —What are you talking about? 1.e4 f5? What grandmasters, what great results? —I checked the database and the results are awesome! Look! At this point we went to the Opening Explorer at Chess.com and entered the moves 1.e4 f5. The picture was surrealistic. The Opening Explorer showed that the most popular move for White was 2.d4, played 842 times, and White scored 38 percent wins vs. 41 percent wins for Black! The second-most-popular move was 2.Nf3 where White scored slightly better (41 percent wins vs. 35 percent wins for Black). I asked my student what he was going to do about the most natural move, 2.exf5? He answered that it is not a very popular move, since it was played only four times out of more than 1,200 games, and he didn't expect to see it much. I guess you already know what was going on. Of course, practically every game in the database started with a different move order. It could have been 1.d4 f5 2.e4 or 1.Nf3 f5 2.e4, etc., but for the database it doesn't matter what the move order is as long as it leads to the same position. ...such a game will be placed together with grandmaster games played with the Sveshnikov Sicilian, since the Opening Explorer doesn't care about the move order—the only thing that matters is the position that you are searching for. Opening Explorer is a very powerful tool for openings research and my students use it daily, but just as with any other tool, you should know how to use it. Even a basic electric drill can kill you if you misuse it. I commended my very young student for his openings research using the database and explained that no matter what the Opening Explorer shows, you need to use your common sense. My student assured me that he was dead serious and that there is even a book devoted to this "opening." —If you see a book that claims that eating spiders is good for your health, will you eat them? —Exactly! That should be your response to the opening recommendations like this. I explained to him that there is nothing wrong with experimenting in openings or in chess in general. So, if by some reason he really thinks that playing an "opening" that breaks practically all the rules of chess is a good idea, then he should definitely give it a try. But to play something based solely on somebody else's recommendation, even if your common sense says "Eww," is pretty stupid. Even if the rest of the world would play here 6.Nc3, I yet hold my move 6.Ne3 to be more correct and this for reasons based on the "system." The lesson here is quite simple. If you want to become a strong chess player, trust your own logic and play the moves that are the best according to your own judgment. Yes, oftentimes your choice will be wrong and it will turn out that your eyes were indeed lying to you, but this is how we learn.